The contemporary Foxhall 6 ft. bench features tightly spaced, gently contoured seat and back slats which lend both visual appeal and remarkable comfort. Perfect for heavy commercial use, the large-scale Foxhall benches are constructed of robust timbers with mortise and tenon joinery. Coordinates with our popular Foxhall backless bench collection. The 6 ft. long Foxhall solid teak bench is contemporary in style but uses traditional materials, allowing it to blend seamlessly into any setting. Features a geometric apron, tightly-spaced seat and back slats, and gently-contoured shape for ergonomic comfort. Robust construction and dense materials ensure decades of use in active public spaces. Foxhall is also available as a 5 ft. 7 in. backless bench. Thick legs and rails make the Foxhall bench reliable and high grade teak combined with mortise and tenon joinery make it exceptional. Traditional mortise and tenon joinery held together with wooden dowels and stainless steel hardware ensure a lifetime of public or private use. 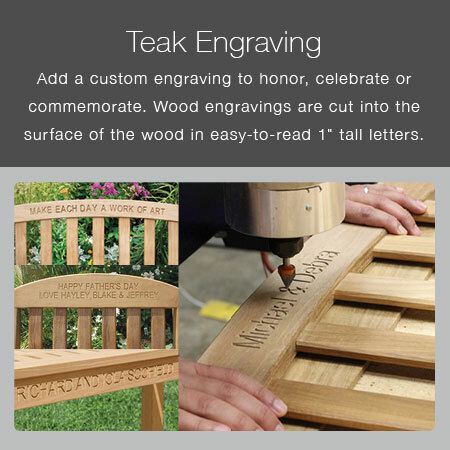 Teak can be left outside in all seasons and will naturally weather to a soft, silvery gray. It requires little to no maintenance to keep this look.